Sonny admits to Carly that he&apos;s back in charge of his organization, but promises to keep her and the kids safe. Sonny has a ring for her and proposes. However, Carly&apos;s worried about their past. Sonny&apos;s grateful that she stuck by him through everything and Carly agrees to marry him. Nina hears a baby crying, but Ric denies hearing it even though he&apos;s the one making the noise. Nina worries about her mother coming for her money, but Ric promises to take care of it. Ric pulls a blanket out of the safe with Avery&apos;s initials on it. Nina swears she&apos;s never seen it before and insists someone is framing her. Nina swears she didn&apos;t kidnap the baby. Ric tells her not to tell anyone about the blanket. Franco wonders why Ava confided her secret to him. Ava says Scott has a flashdrive with her confession on it. Ava wants Franco to get it from his father so that she can get rid of it. Ava promises to help get Nina back for Franco. Jordan complains to Scott about Sonny and his hold over TJ. Scott shows her the flashdrive and says he has the evidence against him. The two agree to work together to bring down Sonny. Silas accuses Morgan of cheating on Kiki with Denise. Morgan denies it until Silas says Denise is the one who told him. Morgan swears he couldn&apos;t stop himself, because of the connection to Ava. He swears it&apos;s over and begs Silas not to tell Kiki. Kiki apologizes to Michael for what she and Morgan did. She asks him to talk to Sonny about letting Denise have access to Avery. Kiki says Denise is her only connection to her mother, so Michael agrees. 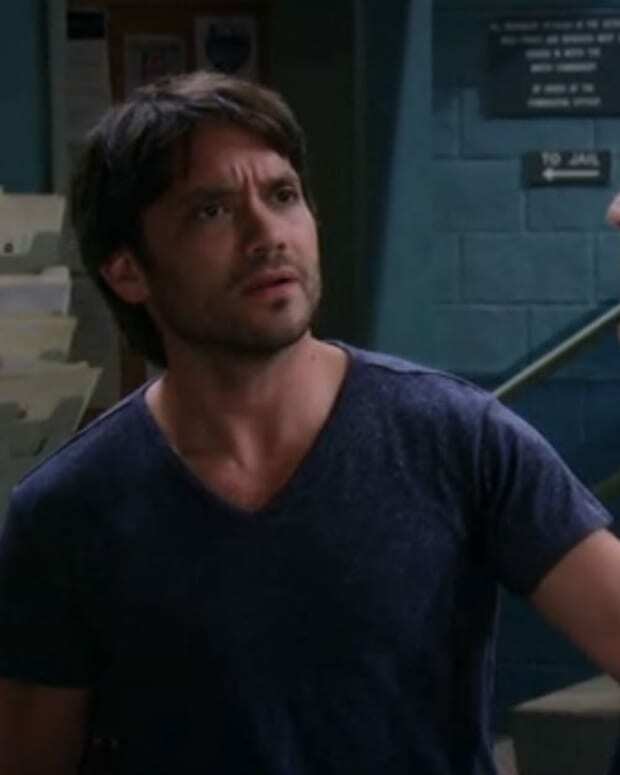 Franco pays Scott a visit, while Morgan demands to know why Denise told Silas about their tryst.